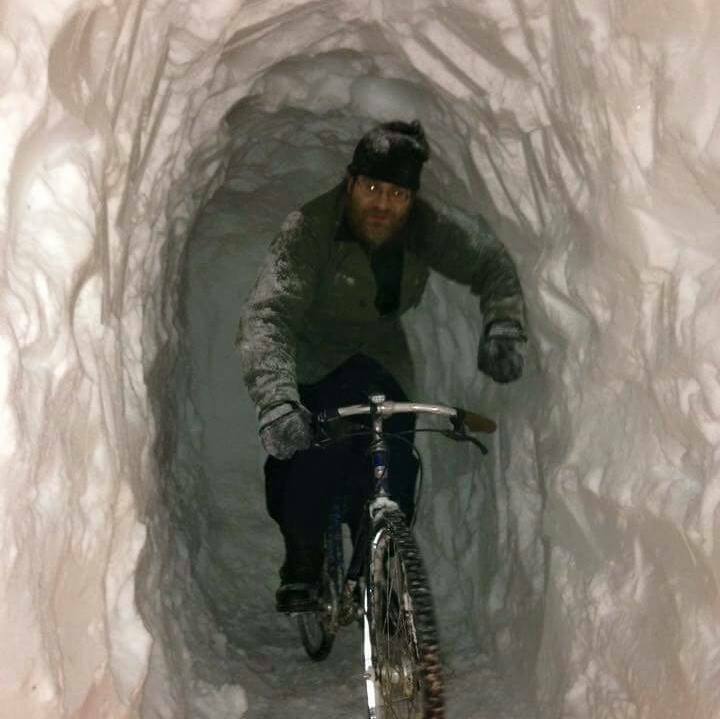 Kyle Waring wanted to get the snow out of Boston...so he decided to ship it. Boston is having its second snowiest winter on record with more than 100 inches of snow so far. By bottling and shipping it to people in warmer states. Waring, 27, started Ship Snow, Yo, a website where people can order snow to send their friends, families — and enemies. "This is your chance to not only own a piece of history, but also help save Boston from #Snowmageddon2015! Every order counts. "Note: We will not ship snow to any states in the northeast! We're in the business of expunging snow! What started off as a joke between Waring and his wife while they shoveled snow in their front yard is now a legitimate business, Waring told BuzzFeed News. "We were joking around and decided to send some snow to our family in Florida," said Waring, a product manager at GSN Games in Boston. But the idea caught on and Waring said people were really interested in purchasing the snow. He now ships snow to at least two to four customers a day. Waring said most of the customers are from Boston who want to export the snow out of their city and to their friends and families from warmer places like the West Coast, Utah, and Colorado. "A lot of the packages are addressed to kids," Waring said. "My understanding is people are sending it to kids who have never seen snow before. This is their first chance to play with it." For $19.99 you can get a 16.9 oz Snow Bottle of fresh, fluffy snow that "may arrive as water," the website warns. Waring said he has refunded some people who might not have anticipated that the snow would arrive as water, but the product does includes a "before" picture of the snow prior to transit and is packed with dry ice to preserve it for longer. To resolve the problem of the melting Snow Bottle, Waring is now shipping six pounds of snow for $89 in a thick insulated styrofoam container that is guaranteed to arrive within 20 hours. The snow in sealed in a ziplock bag, wrapped in tin foil and placed in a 1.5-inch-thick styrofoam container that is shipped overnight. While 6 pounds might not be enough to go skiing or sledding in, Waring said it's enough to build a nice little snowman, or use it for iced coffees. All four of the snow boxes sold out within 24 hours, Boston.com reported. Waring said people have sent in special requests for snow from the historic Boston Common garden and from Cambridge. While Waring's profit margins on his shipments are below 15%, he said he is planning to donate a portion of the proceeds to a charity. "I developed this as a hobby website," Waring said. "I'm not really looking to develop this as a profitable enterprise." However, he is already set with his next seasonal business: Shipping New England's fall foliage.